I found this silver plated cutlery with the stuff from a few weeks back. One of the guys bringing things from the apartment down to the curb offered this to me, talking about how good it is and how much nicer it is to use than normal cutlery. It was all somewhat tarnished so I figured I’d clean it up. I used this fairly natural technique, which only uses baking soda (and aluminum foil). It ended up working pretty well. Most of them shined up pretty nice! 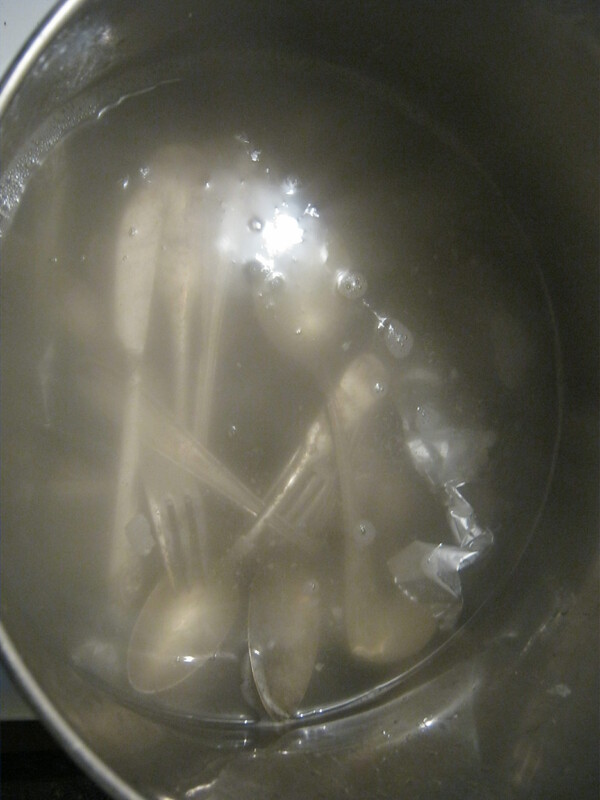 Some are probably a bit worn from years of use and so probably can’t be fully cleaned, but they’re still good to use. They’ll probably go into my cutlery drawer, replacing the stainless steel stuff. 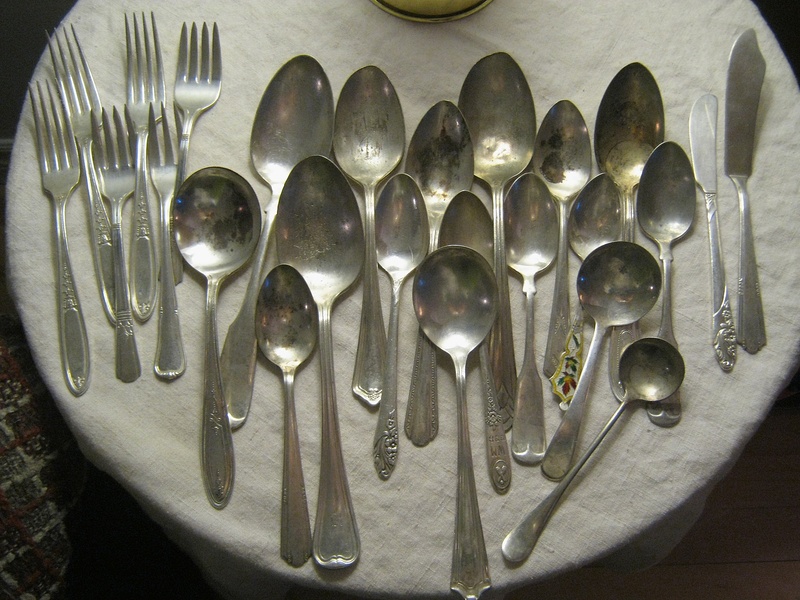 Much of the cutlery are marked as being made by the Oneida Community. The Oneida Community was a Christian socialist commune that emerged in the mid 1800s. They engaged in group marriage, selective breeding (a form of eugenics), communal parenting, and shared work. 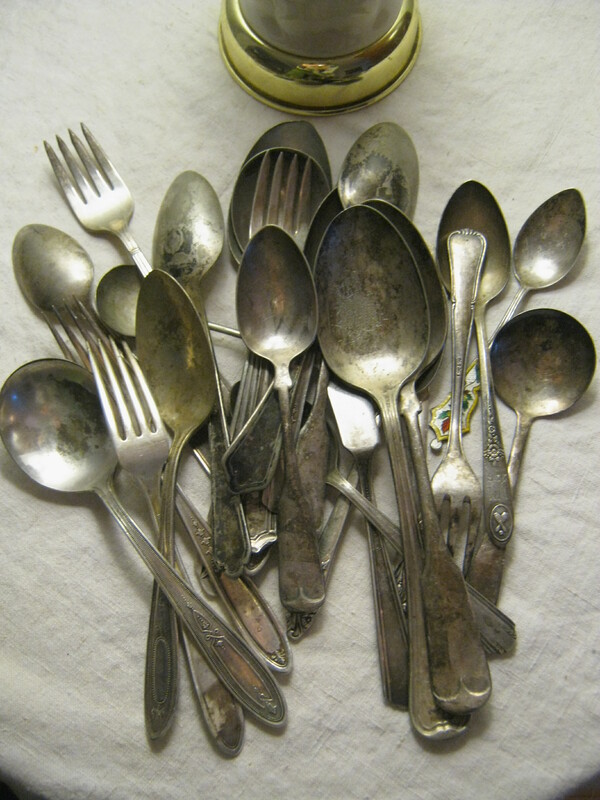 They were pretty industrious, creating many businesses including the silverware company which still exists today. There’s a few other names in here: W.M.A Rogers (which was bought out by Oneida at some point), 1881 Rogers, Winthrop, Deerfield, Peerless, and Cassidy’s Hotel. 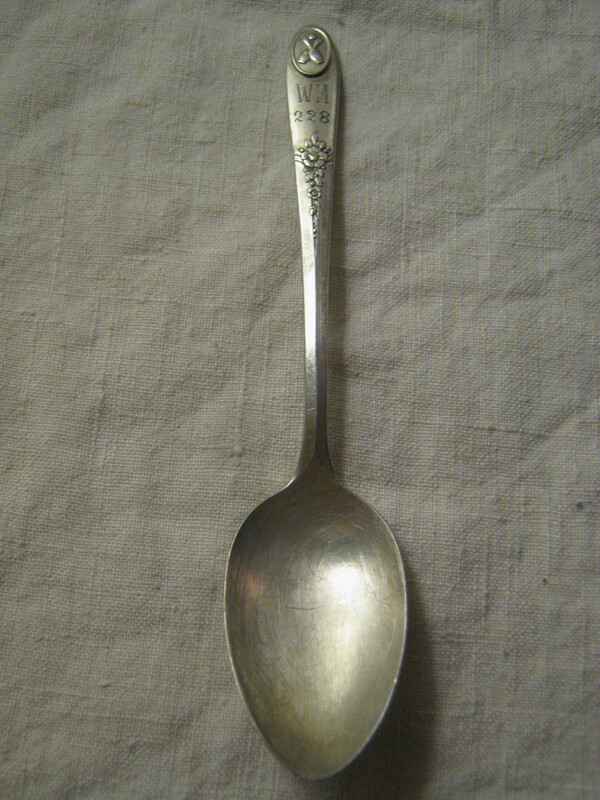 This spoon, marked “Tudor Plate Oneida Community” on the back, has an odd bowling pin design on the top and is marked “W M 228” on the front. A brief google search didn’t help me discover what was different about this spoon. 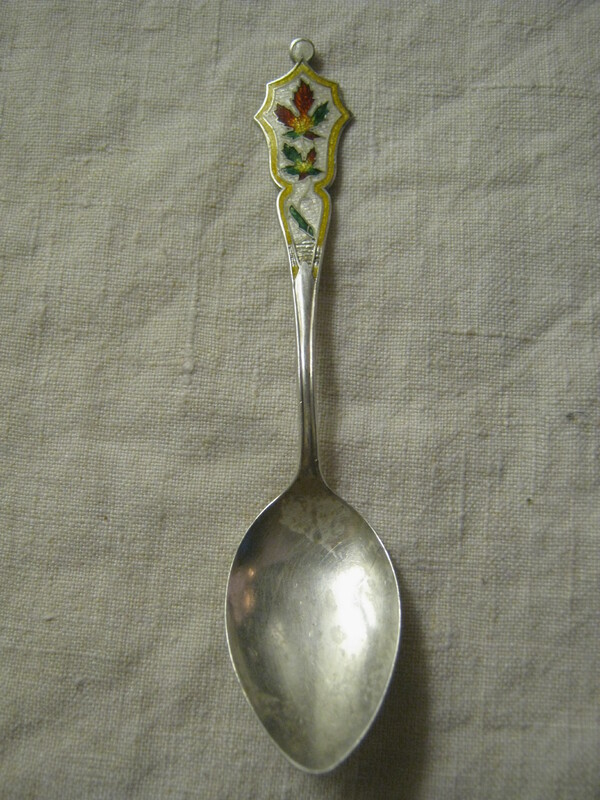 And this was the only sterling silver spoon. It has some really nice enamel at the top which livens up a nice maple leaf design. It feels very Canadian. I feel like it’s the slightest bit bent and there’s some discoloration on the spoon that I don’t think I can get off. Still, pretty cute spoon which worst comes to worst is probably worth a bit in melt value alone! That’s all for now. I’m going to bike around and look for some more stuff – I have a feeling that there’ll be some nice stuff out tonight. Nice find. I know of the Oneida Company, but I had no idea of their origins. That is crazy. I love your finds.I do not live in the Plateau.But I suggest you or a partner also do dumpster-diving and looking around part-time on garbage pickup day also in Westmount,Ville Emard,LaSalle,NDG and Ahuntsic-Cartierville.Those areas are ignored by Plateau residents. I’ve thought about checking out some new areas. It’d be interesting because you’d likely find a different sort of profile of stuff being thrown away. I’ll have to check the online tool to find out when trash days are for those areas. You have some nice pieces and good luck with your Etsy store!